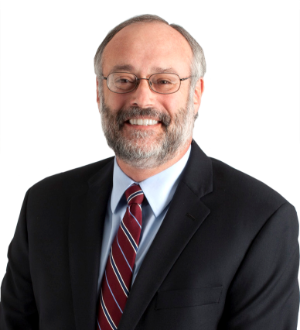 Peter Friedenberg is a partner in Sherin and Lodgen's Real Estate Department. He maintains a broad transactional real estate practice involving acquisition, development, ground leasing, land use permitting, financing, leasing, and disposition of properties, as well as facilities operation and management matters. His clients include public agencies and authorities, developers, lenders, educational institutions, nonprofit entities, and operating companies. Peter became a LEED Accredited Professional in September 2008. Peter has extensive experience in the acquisition, development, leasing, disposition, and operation of office, research and development, laboratory, institutional, and commercial properties. He has served as real estate counsel for a number of years to a Fortune 500 company in connection with its national real estate facilities program, including the disposition of more than 7 million sq. ft. of buildings and 5,000 acres of land. He has also represented numerous public agencies and authorities in connection with a variety of mixed-use private development projects on public land. Peter has substantial experience in the operation and management of campus facilities for both nonprofit institutions and public companies, including the negotiation of facilities maintenance agreements, logistics agreements, property management agreements, and other outsourcing contracts. In 2010, Peter was invited to join The American College of Real Estate Lawyers (ACREL). Peter has been selected by his peers annually for inclusion in The Best Lawyers in America® since 2011, and most recently was named a Leader in the Field of Real Estate Law in Boston by Chambers and Partners USA.